Consecration to Mary, is therefore, an evangelical act of dying to ourselves, in self-denial and self-surrender, in the spirit of Totus Tuus, dedicating everything that is ours for a sacred purpose, the purpose for which God created us, for us to belong entirely to Him. With our Consecration, Mary becomes our personal intercessor and Mediatrix with God the Father, the Son and the Holy Spirit, bringing us to the abundant life promised by Jesus when He said: “I come to bring them life that they might have it in abundance.” This abundant life is Life in the Spirit, the life of the Holy Trinity. Through this act of complete entrustment to Mary, Jesus fulfils His promise to us of a life of abundance as Mary brings us into the Life of the Trinity, the true life of a Christian. What happens when we consecrate ourselves to Mary? In the same manner as when Mary gave her fiat during the Annunciation, the Holy Spirit uses our own fiat, united with the fiat of Mary, to act in us, and Jesus is reborn in us and we are born again in Him. We become alter-Christ’s, true sons and daughters of Mary, true Christians and disciples of Christ. Through the Holy Eucharist, the blood of Jesus is infused in us; it is the blood that He took from Mary, making us truly the blood children of Mary. With Mary as our blood Mother, and Christ our brother, we can now claim our full inheritance from the Father. All our perfection consists in being conformed, united and consecrated to Jesus Christ, and therefore the most perfect of all devotions is, without any doubt, that which the most perfectly conforms, unites and consecrates us to Jesus Christ. Now, Mary being the most conformed of all creatures to Jesus Christ, it follows that, of all devotions that which most consecrates and conforms the soul to Our Lord is devotion to His Holy Mother, and that the more a soul is consecrated to Mary, the more it is consecrated to Jesus. By this reasoning of Montfort, the more we are consecrated to the Immaculate Heart of Mary, the more we are consecrated to the Sacred Heart of her Son, Our Lord Jesus Christ. Remember, as Pope John Paul the Great taught us, that the Heart of Jesus was formed beneath the Heart of Mary and the most precious Blood that flows through His Heart is taken from the Blood of Mary. In her apparition as Our Lady of America, Mary said the graces from the Sacred Heart of Jesus are dispensed through her Immaculate Heart. The Alliance of the Hearts of Jesus and Mary, the late Pope explained, was sealed at the foot of the Cross when the centurion thrust his spear into the side of the crucified Son and pierced the Heart of His Mother, fulfilling the prophecy of Simeon during Jesus’ presentation at the temple. 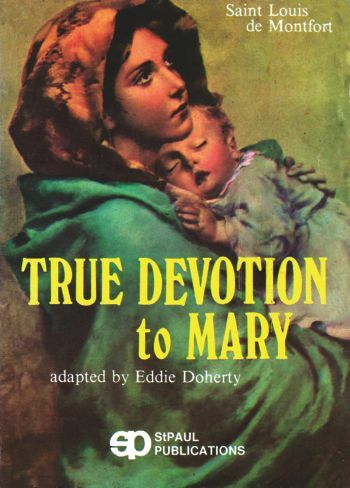 According to St. Alphonsus de Liguori, founder of the Redemptorist Order, Mary was chosen Mother of God by being Co-redemptrix and Mediatrix; one and the same divine decree predestined her to this twofold mission. St. Alphonsus considered the divine maternity in the light of the redemption; in the study of the reason of the incarnation he follows the thesis of St. Thomas Aquinas according to which, “If man had not sinned, God would not have been incarnated;” therefore the ultimate reason of the incarnation was the redemption of humanity. Mary became Mother of a God who made himself man in order to be redeemer and for expiating the sins of the world; without sinners God would not have incarnated himself, and Mary would not have become his mother. Her mission therefore is combined to that of Christ’s; they have been predestined in order to assure the redemption of fallen humanity, through whom the entire economy of salvation bears the imprint of mercy and the supreme divine indulgence. This was decreed by the Father in the Garden of Eden when He told Lucifer that his head would be crushed by the heel of an offspring of a woman. Mary therefore, as the Fathers tell us, became our spiritual mother two times. First when she merited to conceive in her virginal womb the Son of God… in giving her consent she consecrated herself to the work of our redemption, and therefore, without pain, she carried us all in her womb as a most loving mother. The second time is when Mary generated us in grace when on Calvary she offered to the Eternal Father, in profound sorrow of heart, the life of her beloved Son for our salvation. According to Cardinal Luis Aponte Martinez of Puerto Rico, since the Annunciation when Mary gave her fiat to the Father, allowing the Holy Spirit to conceive in her the second person of God, the Father’s only begotten Son, the Father then decreed that from that time on, all the graces given to mankind would pass through her as the Mediatrix of All Grace. And for all Christians who would want to reproduce Christ in their lives, this could only be made possible by the combined action of the Holy Spirit acting in them through the Blessed Mother who is both Co-Redemptrix of mankind and Mediatrix of all grace. I distinctly remember, from the weekly Mariology classes that I was privileged to attend with His late Eminence, Cardinal Jaime Sin of happy memory, His Eminence told us that there is no Saint in heaven that has not had a devotion to the Blessed Mother. That is why she is the Queen and Molder of All Saints. The Father created Mary’s Heart to be the perfect receptacle of His perfect love. She, on the other hand, responded to God’s perfect love with her own perfect love, perfect love for perfect love. According to St. Thomas, this exchange of love was manifested by an exchange of gifts. Mary gave God, who could not die, a human body and the power to die. And in exchange, God gave Mary the power not to die and she was assumed, body and soul, into heaven. What am I to do, child of my heart, when my children turn from me? The false peace of this world lures them and in the end will destroy them. They think they have done enough in consecrating themselves to my Immaculate Heart. It is not enough. That which I ask for and is most important, many have not given me. What I ask, have asked, and will continue to ask is reformation of life. There must be sanctification from within. I will work my miracles of grace only in those who ask for them and empty their souls of the love and attachment to sin and all that is displeasing to my Son. Souls who cling to sin cannot have their hands free to receive the treasures of grace that I hold out to them. …I wish to gather about me, my tender child, soldier and valiant bearer of the torch, an army of brave lovers, who as my torchbearers will enkindle the fire of Divine Love in the souls of men. Only those who are strong in love can become my soldiers to bear aloft, not the sword of destruction, but the sword of fire, the flaming torch of Divine Charity. How fortunate we are in the Philippines, that we do not have to convince our bishops of the desires of Mary’s Immaculate Heart. Rather, we have Marian Bishops such as Archbishop Ramon Arguelles who are calling on the faithful to obey the prodding’s of Mary’s Immaculate Heart. And with special concern for the great ecumenical imperative of our day, is this not one of the most urgent of Christian necessities and hence in greatest need of the powerful intercession of the Mother of unity? Would now not be the time to formally invite “Our common Mother” to fully utilize the spiritual power of her motherly Heart in unifying the sons and daughters of God in the one body of Christ? It is now the opportune time to definitively turn to the Mother to implore the graces necessary to fulfill the yet unfulfilled “utunumsint” pleading of the one Lord (Jn.17:21). St. Montfort had given his followers a prophecy that is about to be fulfilled in the world today. He said that as Jesus, in His first coming, came to the world through Mary, He will, in His second coming, come again through Mary. There are many signs that Jesus’ second coming is not very far away so it behooves us to act as the wise bridesmaids who prepared enough oil for their lamps in preparation for the coming of the bridegroom. There is no better way than the way of Consecration to Mary, to lit our hearts as lamps, preparing with Mary for the coming of her Son, the bridegroom who is coming to claim His bride, our Church with all her faithful, His beloved people of God. With our Consecration to Mary’s Immaculate Heart today, we shall be reborn in Jesus, and our hearts, lit with the fire of devotion, will be the lamps to lit the way for the coming of Jesus to the world. We will be the torchbearers of Mary, to enkindle the fire of Divine Love in the souls of men, women and children, making straight the way for the Returning King. Excerpts from a speech of Mr. Howard Dee during the Fourth National Pilgrimage to Lipa, Batangas, Philippines, last September 12, 2007. Mr. Dee was formerly Philippine Ambassador to the Vatican. 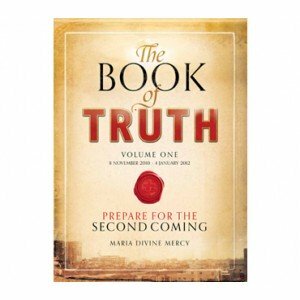 Known as a devotee of the Blessed Mother, he has written two books on her: God’s Greatest Gift to Mankind Today and Mankind’s Final Destiny. Click here to return from Consecration to Mary to Catholic Beliefs Home Page.